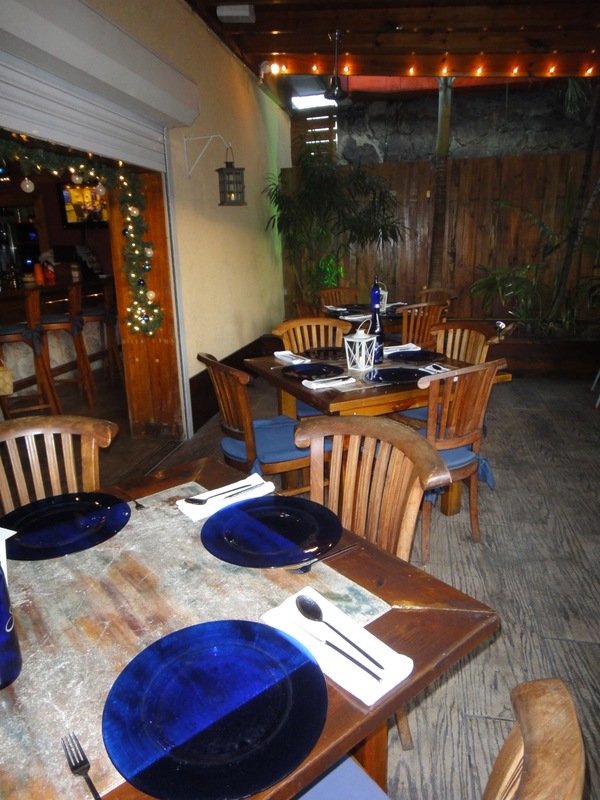 Seating at Yemanja restaurant, Aruba. 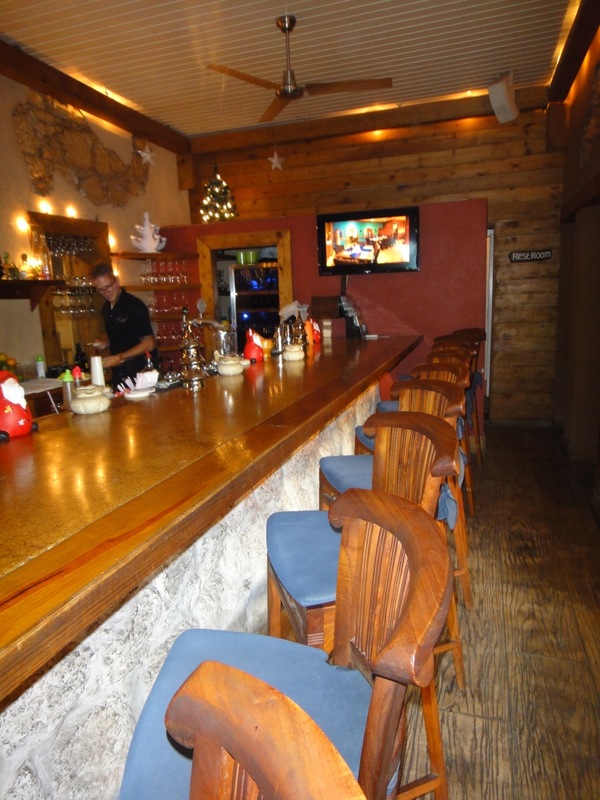 Bar area at Yemanja, Aruba, DWI. 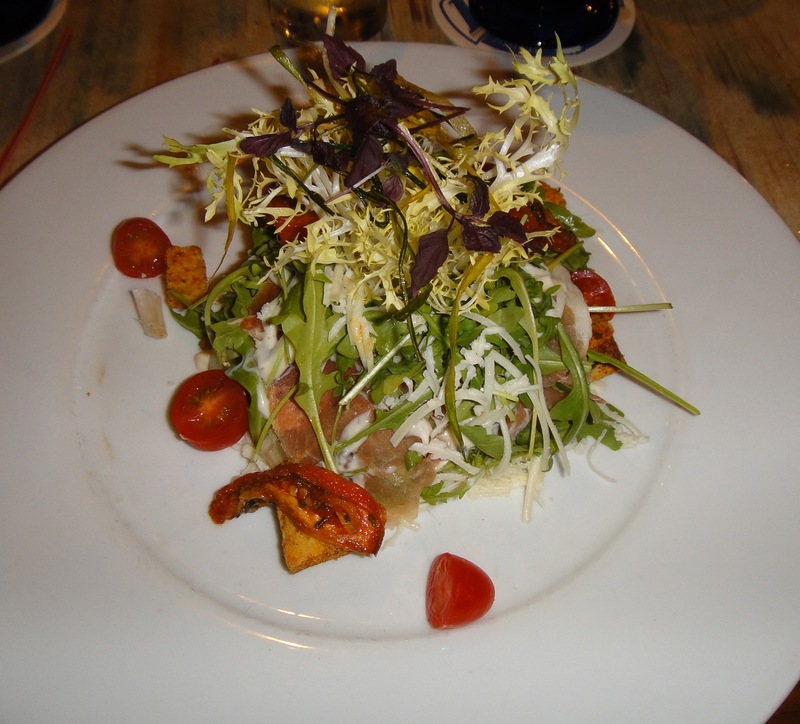 Salad with prosciutto at Yemanja, Aruba, DWI. 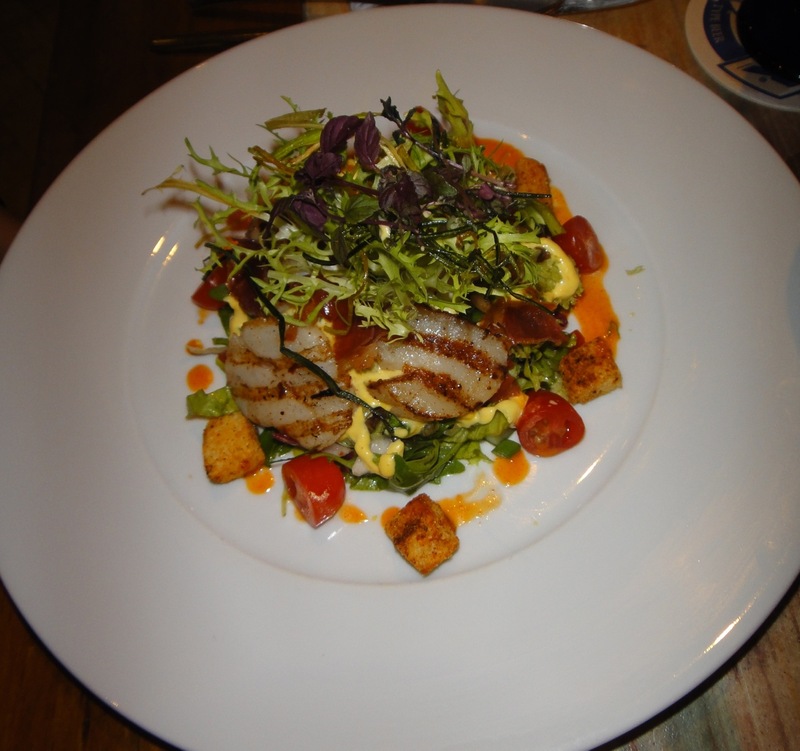 Mixed salad with scallops at Yemanja, Aruba. 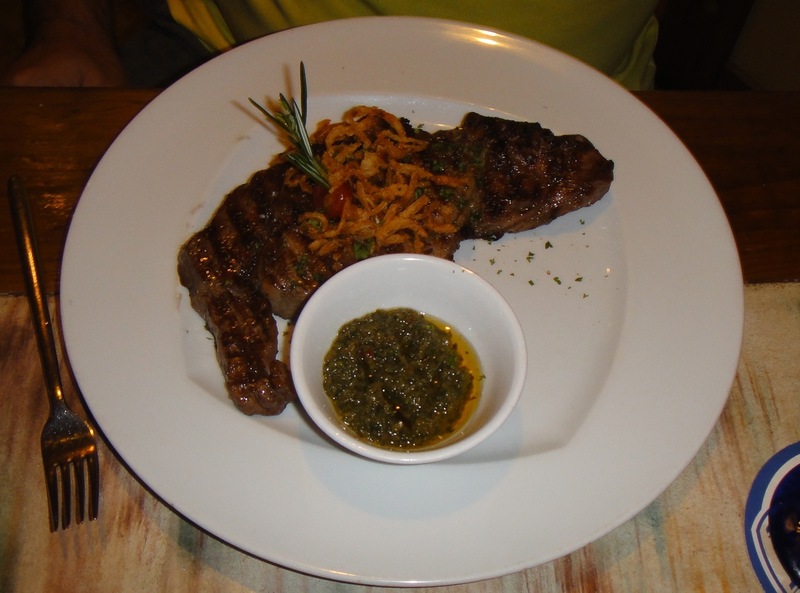 Yemanja, Aruba serves this rib eye. Or, you might like the filet mignon that is served in two pieces, which is a favorite of mine. 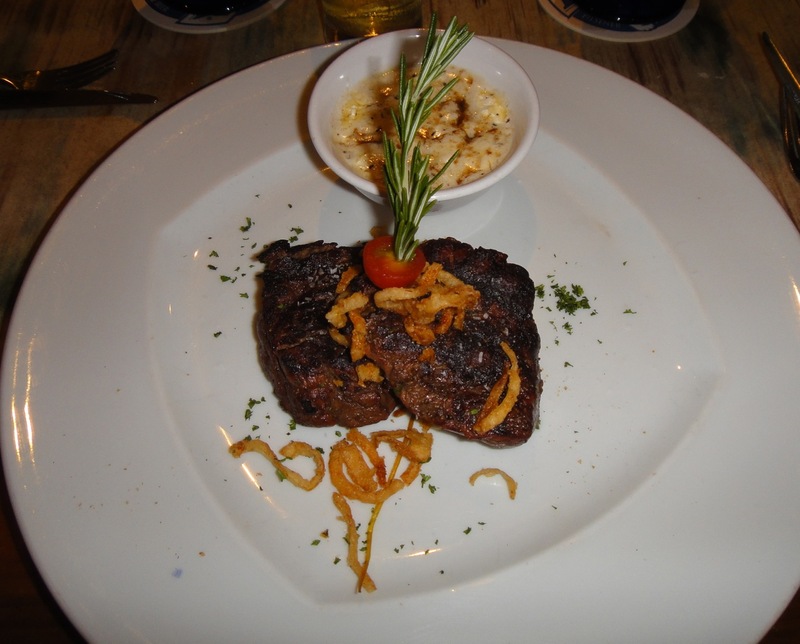 Filet mignon at Yemanja, Aruba. I like the french fried onions as a garnish, just the right flavor kick. Service here is excellent and mindful of all things, including my water glass. Sorry, no room for dessert, maybe next time. There will be a next time, because Yemanja is on my regular list of places while in Aruba. Hope to make a video there soon. Bon dia.